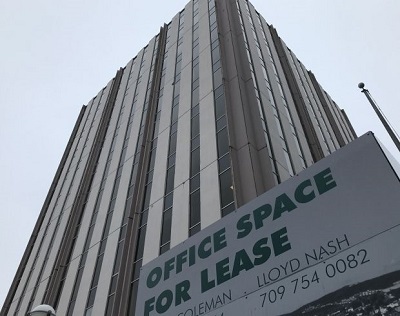 As reported on Yahoo News, records show more than a quarter of high-end office space in the downtown core is now vacant as big employers migrate to suburban commercial areas off Kenmount Road and near St. John’s International Airport, leaving some large office towers practically empty. And the exodus is far from over, putting some downtown advocates on edge. “I wouldn’t rule out that some businesses will close,” said Jonathan Galgay, executive director of the George Street Association, which represents 21 downtown bars and restaurants. Six years ago, with $100-plus oil puffing up the economy, practically every square foot of Class A space along Water and Duckworth streets was occupied, with oil and other professional companies paying premium leasing costs. But an economic downturn, combined with the construction of new office buildings in the downtown and elsewhere, has upended the situation in a big way.